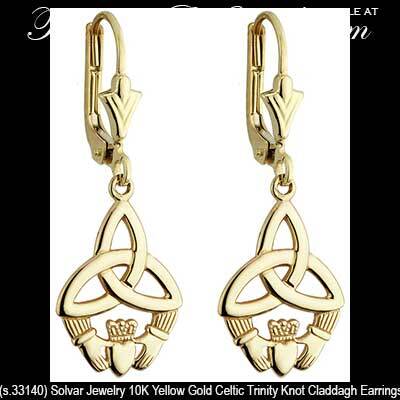 Sorry, these Celtic Claddagh earrings are now sold out. 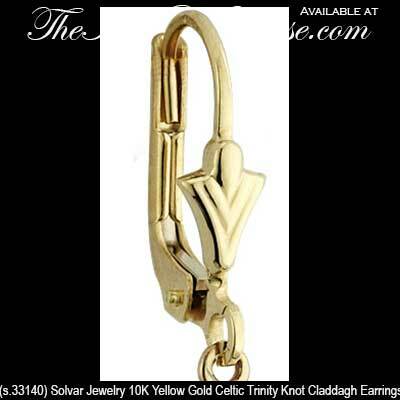 These 10K gold Claddagh earrings feature the Trinity knot extending upward from the cuffs. 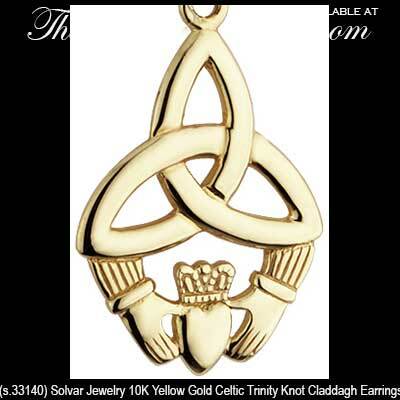 The Celtic Claddagh earrings are a drop design on latching Eurowires and measure 3/8" wide x 1 1/8" tall, to the top of the wire.